Came across this gorgeous model while shopping on Taobao and simply had to find out more about her. She looks more Chinese than Russian with less make-up, but she's one of the rare few models (the only one actually) I've seen who can pull off both elegant, sultry Western look and kawaii Asian look effortlessly! Models who do these styles are usually only good one way or another. She is the best of both worlds! Being taller than Papa Yao helps too, I suppose (170cm lol). Rounding off this post with a pic of Miss Tina in a furry bear hoodie! As a record-breaking effort, I've written four double-chapter stories (2 PGs, 1 PG13, 1 R18) in a span of one month, and am still working on 2 more R18 stories for the book. 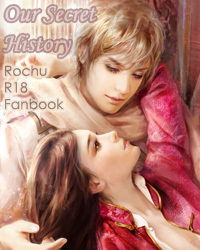 I although I always enjoy writing R18 stories, the stories have historical backgrounds, so I had to spend time doing research ^^; I've been reading up intensely on Sino-Soviet relations for the book, and my understanding of this beautiful couple has tripled since~ Actually, I only recently learnt that Russia and China were really bitter enemies during the Sino-Soviet split, and their conflict nearly escalated to World War III! Previously, I knew that they had issues with each other, but I didn't know it was that serious. Talk about love becoming hate! Yet although their relations were bad, they never actually went to war or invaded each other. Instead, they attacked each other through proxy wars fought by each other's allies. Russia and China fell out with each other because of ideological differences and to a certain extent, betrayal. I personally feel that they acted more like a couple with very idealistic expectations for marriage. After they married each other, they realized they had conflicting personalities and ideals. So they fell out over their differences, and then tried to exact revenge on other because they loved each other so much that the passion gave way to hatred. They did a lot of petty things to each other which are frankly quite childish in human context. Yao openly complained about how Ivan didn't return him territories that he gave him in the 1800s. In response, Ivan denounced all the Chinese names of those territories and only permitted them to have Russian names (ooh fighting over child custody eh). To irritate each other further, they ran to Alfred to make friends with him and dissuade him from friending the other. That's also how the golden triangle came about. Ivan: Yao~ Will you marry me and share my utopia? To me, utopia is being with you forever. We will live in a farmhouse, secluded from the world, and we will grow sunflowers in our garden. When autumn comes, we will sell the sunflowers and with the money, we'll travel around the world in winter and experience christmas all over the world. How does that sound? Yao: Sounds wonderful! (But I'll use the money to invest in more houses). I'll marry you aru! Yao: That's not the point! You promised that we would have money to travel around the world! Ivan: How was I to know that sunflowers don't grow in my climate? Yao: Aiya we should have grown peonies! Peonies are hardy and strong, just like me. They will survive in any climate! 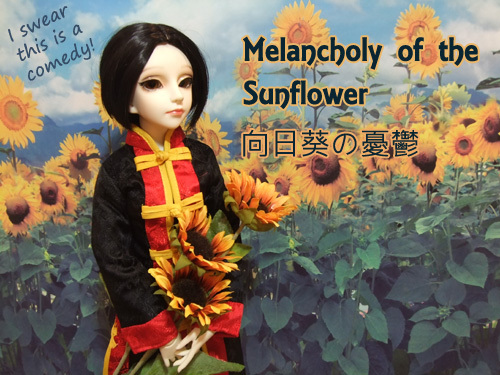 Sunflowers are pathetic aru. Ivan: Peonies are the ugliest flowers I've ever seen da! Nobody would buy them! Yao: Aiya how dare you! That's my national flower you just insulted! Ivan: Oh really? I thought your national flower was bamboo shoots. Yao: Bamboo shoots are plants! Why on earth am I married to a stupid man like you aru? Ivan: And you're just a naggy old woman. Leave my ears alone and go make a sammich! Yao: That's it aru! I want out! I want a divorce! I'm taking Yiman, Yezhuhe and Suchan with me! Ivan: No you're not. Dalnerechensk, Dalnegorsk, and Partizansk are staying with me. Yao: Stupid ingrates! I might as well have given birth to 3 buns and ate them up aru! Ivan: See? The children like me better! What do you have to say to this? Yao: Well... I'll take this up to Alfred! Yao: He's the world's policeman, isn't he? He will help me win my children's custody! Yao: I'm not having an affair aru! Ivan: Kolkolkolkol~ How am I inferior to Alfred? I may be a bit poor, but I'm better than him in every other way. Even my little buddy is more well-endowed than his da. Yao: That isn't it aru! Dalnerechensk / Yiman: Why did Papa push Mama onto the floor? Dalnegorsk / Yezhuhe: Why is Papa tearing up Mama's clothes? Partizansk / Suchan: Big sister will tell you when you grow up.